My session with Melinda was amazing! A beautiful morning made for a great outdoor shoot at a location that couldn't have been more perfect. I had a great time in a fun and relaxed environment. The proofs far exceeded my expectations, the products she offered were wonderful and the person who received the pictures loved his Valentine's Day gift. I will highly recommend Melinda Tuttle Photography to anyone! Thanks so much Mel!!! Melinda, Thank you for the beautiful pictures you took of my family. I always love how you capture personalities in your pictures. My kids are already growing up way too fast and I will always cherish that you captured who my kids are at this brief window in time. I love my photos! I had to park at the baseball park and look through them because I was too excited to wait until I got home. Thank you so very much for capturing such nice photos of my family, you're wonderful at what you do. Absolutely has a great experience with Melinda Tuttle Photography. We named the place to shoot pictures and Melinda created the most beautiful pictures of my family. She adjusted to the scenery and caught some awesome photos with sunlight, vibrant colors, and activity. My family will always be able to cherish these photos. Thanks again Melinda. Thank you Melinda!!!!!!!! Love you!!! Melinda Tuttle is an amazing photographer. Capturing moments you will never forget and seeing the creative side in everything! 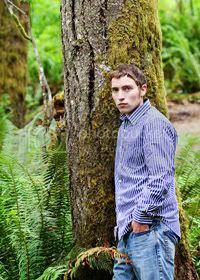 Melinda took my senior photos and I could not have asked for better pictures or a photographer, she makes it fun! Recently, I had Melinda take pictures of the two of my children. It was mostly to mark the six month milestone of my daughter, but after I saw the pictures Melinda took I fell in love with ALL of the pictures. There were so many great pictures. I loved them so much I decided to devote my living room walls to three oversized canvases, one of my daughter, one of my son and one of the two of them together. We are already planning on having her take our family pictures this summer to add more art work to our walls! Melinda has taken senior pictures for my twin sons as well as my daughter. Melinda is professional, yet so open and friendly that she got GREAT photos of the twins, who were not willing participants! By the end of the shoot they were comfortable & having a good time. The pictures of the twins are truly priceless! My daughter's senior pictures also turned out beautifully...despite the weather. I will forever cherish these photos of all three of our kids! Deb Paape "" HIGHLY RECOMMEND!!! She is a treasure.